12VPN is a VPN service brought to you by Anuson Limited which is a Hong Kong based company. Founded in 2007, the company aims to deliver a safe and secure browsing environment without compromising on speed and convenience. In this unbiased 12VPN review, we check out the features offered by the company to help you decide whether or not the service is worth its subscription price. 12VPN has servers in 9 different countries. As well as having servers in important VPN markets like United States of America, Canada, United Kingdom; the company has servers in Singapore, Japan, France, Germany, Switzerland and Netherlands. In United States, the company has severs located in Los Angeles, Chicago, Fremont, Newark, Kansas City, Seattle and San Jose among other locations. Even though the choice of server locations is low when compared to other VPN services, it nevertheless covers important VPN markets in America, Europe and Asia allowing you to watch local content from a lot of countries. The service also allows unlimited server switches within the countries included in your subscription plan. 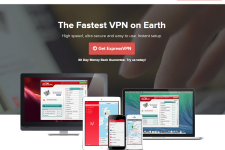 12VPN offers unmatched browsing and downloading speeds. The Personal plans do not have any bandwidth limits making them ideal for downloading unlimited content, watching streaming movies as well as online gaming. The company doesn’t allow P2P activities so it is not a good choice if you want to download and share content through bittorrent sites. 12VPN uses latest encryption technology to protect your privacy. The company does not keep a log of user activities which makes it ideal for anonymous and secure browsing. 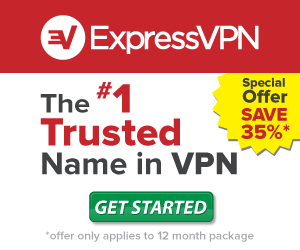 The company uses 128 bit encryption for PPTP and IPSec protocols, 128 or 256 bit encryption for OpenVPN and 1024 bit encryption for SSL keys which makes the service quite secure and ideal for anonymous browsing and bypassing Government and ISP filters. 12VPN supports a wide variety of protocols and devices. The service is ideal for use through IKEv2, L2TP(Plain) , PPTP, L2TP/IPSec, OpenVPN and IPSec (Cisco) protocols which makes it possible to use it from , Linux, Mac, iOS, Android based computers, smartphones and tablets. 12VPN also offers support for DD-WRT, pfSense and Tomato routers allowing you to use the service from many more compatible devices. 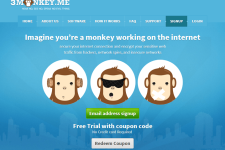 12VPN offers support through an email based ticketing system. Even though there is no live chat support, the support staff ensures that the tickets are resolved quickly. 12VPN offers unlimited Personal US plan for $79 per year and Personal World plan for $119 per year. 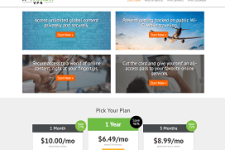 The Personal US plan is perfect for those who just want to use US based servers while the Personal World plan is great for people who want to access local content from a lot of countries. The company also offers a Lite plan with 10 GB bandwidth limit which is ideal for who are those who are not heavy internet users. You can also use 12VPN coupons to save money while subscribing to the VPN plans. The company offers a 7 day unconditional money back guarantee that allows you to test the service risk free. Overall 12VPN is a very good VPN service. While it has limited VPN server locations and doesn’t support P2P activities, it provides blazing fast speeds with free server switches and unlimited bandwidth. 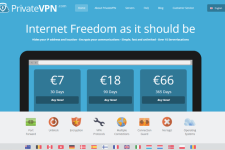 If you are looking for a great VPN service that offers real value for money then make sure that you check out 12VPN. To learn more about if 12VPN is the right VPN service provider for you, visit their website: 12VPN.com. The service and price are right. Was recommended by a friend, and I don’t have any regrets for using this one.